Today is my first tech-free Tuesday of the year. I'm planning to "up the ante" and do these twice a month in 2013 - the first and third Tuesday of the month. If you don't take time away from your puter (and phone and tablet) occasionally, I can't recommend it more highly. It has been SO good for me. And on that note - see ya Wednesday! Welcome to 2013 - and the new focus and direction for my blog. As I mentioned here a month ago, for a bit, I've felt that I needed a new focus and direction for my blog. Mostly because my current one didn't really HAVE a focus or direction. Because my heart - my passion - is God's Word and the truths in it, An Open Book will now focus on just that. Bible-based devotions, biblical fiction, and other lessons from His Word (with a touch of my Jewish heritage). As of now, I am planning on four different kinds of posts. 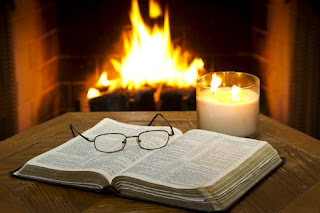 BIBLE-BASED DEVOTIONALS: As I continue my connection with the Facebook group Living By Grace, each Monday I will have a devotional here on my blog, taken from my Bible reading from the week before (I'm planning to read the Bible through in 2013, in chronological order. I'll be using the NIV One Year Chronological Bible). BIBLICAL FICTION: Many of you know I'm working on a full-length biblical fiction novel, but I've also written several short stories in this genre, and I love bringing Bible stories, and characters, to life. So some posts will be fictional stories, based on Bible characters and/or events. BIBLE CHARACTER BIOGRAPHIES: There are a LOT of people in the Bible. Some you probably are quite familiar with. Others, not so much. And we can learn from just about every one of them. I'll be introducing you to some of the many people in the Bible - and what we can learn from them. JEWISH HOLIDAYS/TRADITIONS: Most of you know I was raised Jewish, and several folks ask me questions about my faith of birth. And while some Jewish holidays are discussed in the Bible, there are others that aren't - and even those that are do not include all the traditions current Jews practice. So, watch for those types of posts as well around the holidays. You may have noticed I do not have a schedule, per se - other than a devotional on Mondays. As of now, this is purposeful. I plan to post two to three times a week, depending on how I am led in each of these areas. At some point I probably will get more firm with a schedule (cuz that's the way I am), but for now, I'm going to be loose with when I post what. And I am not, by any means, limited to these four different types of posts. These are the ones I've come up with - but I'm certainly open to other ideas within my focus (Scripture Stories: Timeless Truths - which is also my new tagline/brand). If you have any ideas, I would LOVE to hear about them! Just share them in the comments, or drop me an email. Anyhow - I'm looking forward to getting busy with these posts, and showing you the timeless truths in God's Word. Stay tuned (and subscribe - check my sidebar to follow me in one of several different ways!)! So, what do you think? Any more ideas for me? I adore this new focus Joanne! Cannot wait to see what comes of this. Love. It! Thanks so much, ladies! I'm pretty excited myself. Almost started early, in fact LOL. Have a very blessed new year! Love it!!! As a fellow lover of Scripture, I'm so Looking forward to hearing what God lays on your heart to share. Thanks, Maria and Kristi. I so appreciate the encouragement and your stopping by and commenting! I think this really suits you, JoDear. I especially love that you'll be including your Jewish heritage. Through the blood and grace of Jesus Christ, it speaks to each one of us "adoptees." Wishing you every success with your new focus. You share so willingly to so many of your readers and we are blessed. Thanks, Nancy - you are such an encouragement! Hope I will continue to bless you. I am excited about your new focus, Jo! I look forward to following your posts and learning from you. Have a blessed and joyful New Year! Hugs! Thanks, Rita. I'm excited too! Happy New Year to you, too! Nice job, Joanne. I like how you gave us the goals of An Open Book. Very lofty. Sounds like you've found your home in your new focus. Always nice to be home. I'm totally a goal person, Zoe. Just the way I am. Don't always meet em, but I sure do make em! LOL Thanks for stopping by, and your encouragement!